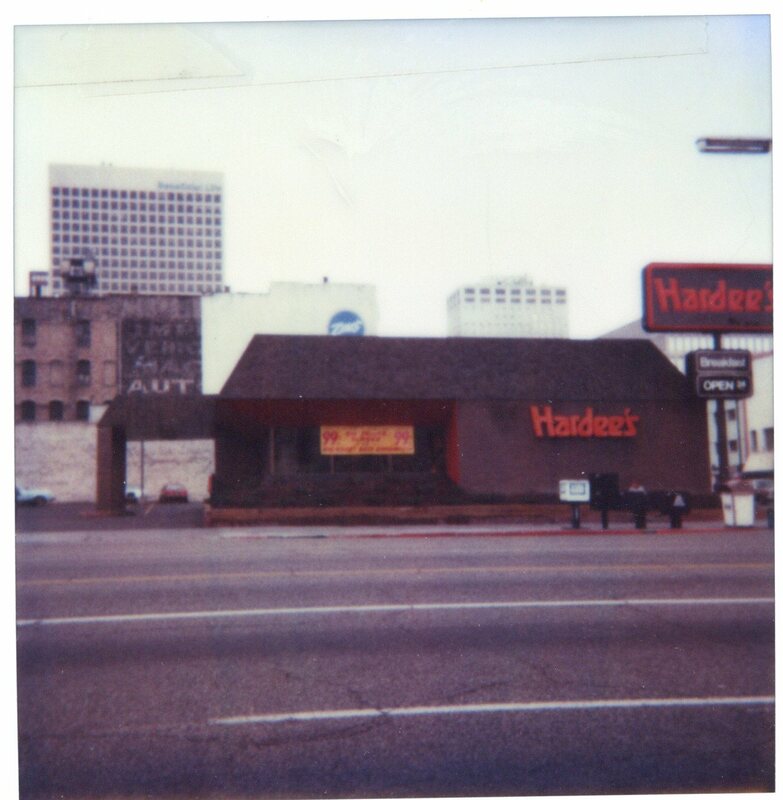 Highway 89 | Hardee's restaurant at 162 South State Street in Salt Lake City, UT. what does this appear like? Hardee's restaurant at 162 South State Street in Salt Lake City, UT. Hardee's restaurant at 162 South State Street. Image taken in 1980s. Salt Lake County Archives, Tax Appraisal Cards and Photographs Collection. No copyright is held. Reproduction for publication, exhibition, web display or commercial use is permissible. Scanned by Salt Lake County Archives using Epson GT-15000 scanner, at 400 dpi. Display file is JPG. Salt Lake County (Utah). Assessor's Office, “Hardee's restaurant at 162 South State Street in Salt Lake City, UT.,” Highway 89, accessed April 22, 2019, http://highway89.org/items/show/2017. This project was funded in part with a grant from the Institute of Museum and Library Services which administers the Library Services and Technology Act.